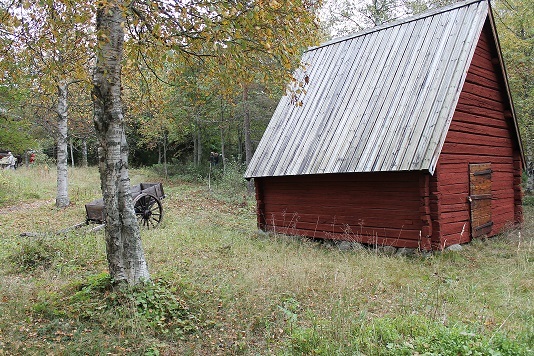 If you’re ever visiting Sweden and find yourself in Umeå, check out the Västerbotten Open Air Museum. It’s a great collection of buildings (Swedish as well as Sami) and it’s free. You get to wander around and take a look at the amazing exhibits. On this occasion, I got to take my mom and my aunt and there was even a crafters market going on on the paths between the buildings. 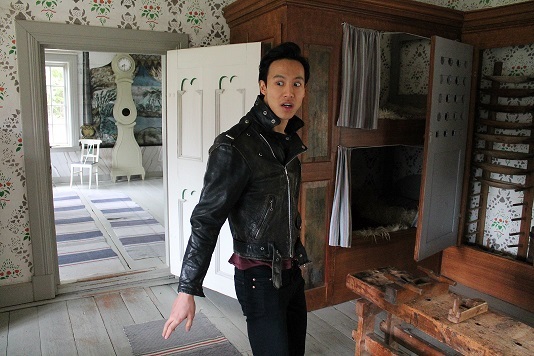 I convinced Phong to knock on this tiny door and we both kind of freaked ourselves out thinking about if something were to knock back. I should explain that we watch a nearly grotesque amount of horror flicks. Nothing knocked back. But how great would it be if something had? The little red house to the right was an outhouse and according to the plaque, it was called the “house of secrets”. Oh, and Phong tried out stilts!